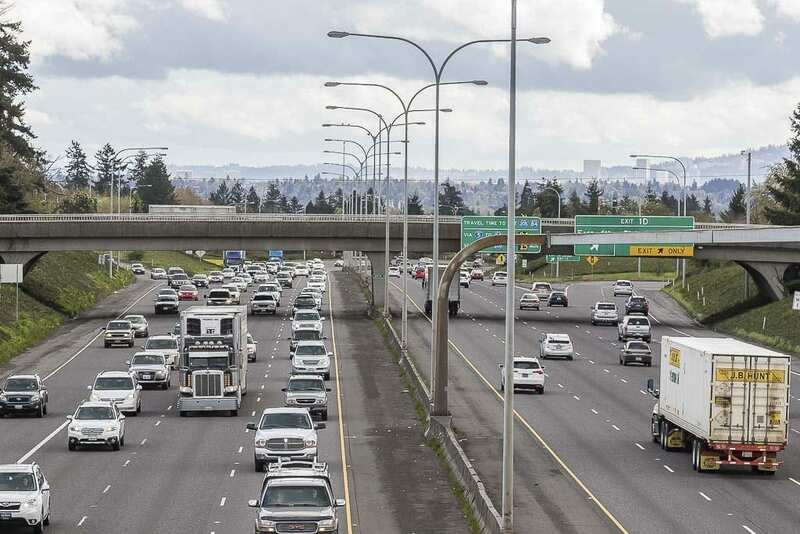 On Thursday, at a convenient location hours from the Portland Metropolitan area, the Oregon Transportation Commission (OTC) moved forward with its attempt to toll drivers on I-5 and I-205 just south of the Columbia River. At its meeting in John Day, Ore., the OTC accepted the Portland Metro Area Value Pricing Advisory Committee’s recommendations to seek to toll two segments of I-5 and I-205 and directed the Oregon Department of Transportation (ODOT) to prepare an application to the Federal Highway Administration seeking approval to toll those segments. ODOT will present the application for the OTC’s approval on Nov. 16. By law, the application must be submitted by Dec. 31, 2018. All I-5 lanes between approximately Northeast Going Street/Alberta Street and Southwest Multnomah Boulevard, a stretch of about seven miles through the downtown Portland corridor. On or near the George Abernethy Bridge on I-205. My first reaction to this news is it was a formality. We knew all along Oregon was going to seek federal approval for its tolling scheme. Remember, the advisory committee was “a bit of a sham,’’ as described by Clark County Councilor Eileen Quiring, one of three members of the committee from Southwest Washington. Members of the committee were never allowed to vote and appeared to have extremely little influence over the process, which was driven completely by staff and other Oregon transportation officials. Options for tolling were eliminated along the way with very little input from the 25 members of the committee and there was no vote in the end as to what the final recommendation would be. OTC member Sean O’Hollaren, who served as co-chair of the advisory committee, tried to convince us that the OTC responded to comments from the public, including residents of southwest Washington. That said, there is no current plan in place to increase capacity on either I-5 or I-205, let alone a third crossing over the Columbia River. Instead, Oregon officials are still trying to change our behavior and get us out of our cars. However, that does not guarantee that revenue generated from tolls on Washington commuters will be used on congestion relief that will greatly impact those drivers. It could be spent on Oregon’s many issues away from I-5 and I-205. U.S. Representative Jaime Herrera Beutler announced this week that she is introducing legislation prohibiting any tolls at the Washington-Oregon state line without agreement from both states’ governors. Jaime’s bill, the I-5 Corridor Cooperation Act, comes after multiple high-ranking Washington officials, including Gov. Jay Inslee, have joined her in taking public stances opposed to Oregon’s Concept C to toll all lanes of I-5 and I-205 at the state line. The I-5 Corridor Cooperation Act requires a signed agreement by the governors of Oregon and Washington before any tolls can be collected on federal roads I-5 or I-205 between S.R. 500 and U.S. 30. 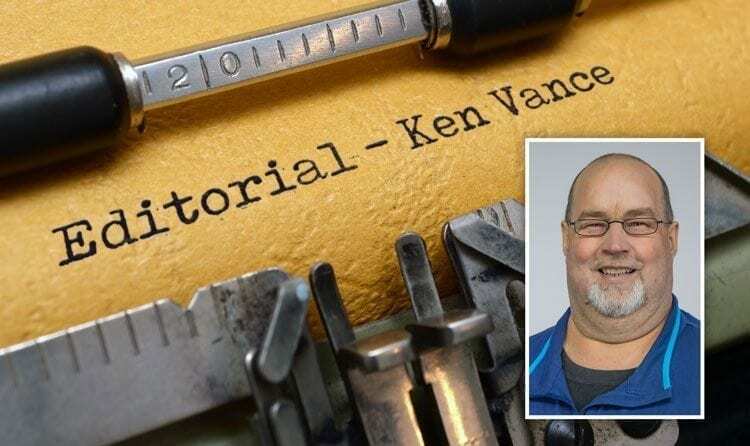 It also requires that the Federal Highways Administration issue a formal economic impact study covering tolling impacts on Clark and Cowlitz County businesses, residents and tribes before any such agreement can be reached. “Despite Oregon transportation officials’ insistence last week to Senator Murray that they are listening to Washington’s concerns, just today they took another step toward implementing their Concept C plan to levy tolls on all Washington commuters who drive to Oregon for work, with no corresponding infrastructure improvements planned for the area. Meanwhile, Oregon’s largest and most politically influential city has issued a formal stance that this maximum-tolling plan should be implemented immediately. Given these developments, you’ll forgive us Washington residents who aren’t ready to buy Oregon’s assurances that they’ve got our best interests at heart,” Herrera Beutler said in a statement. “Until Oregon formally scraps plans to toll I-5 and I-205 at the state line without providing a specific plan to benefit those who will pay, Washington commuters deserve to have a safeguard written into law that will protect them – and that’s what my bill does. “If Oregon really does mean what it says — that Southwest Washington voices matter in its tolling decisions — then this bill should serve as nothing but a formality. I-5 and I-205 are a shared transportation corridor, and this bill makes sure that our two states work in cooperation,” Herrera Beutler said. So, the fight continues. I hope Herrera Beutler will be successful in her efforts to fight Oregon’s tolling plan (I’m not sure there’s any real substance or “teeth” in her latest legislation) and I pray Gov. Inslee will do the right thing if the congresswoman’s legislation is passed. Area residents have been critical that Herrera Beutler hasn’t done enough to fight Oregon’s efforts to toll. I will say at least she’s made some efforts and has been vocal on the issue. We’ve heard virtually nothing from our senators, Patty Murray and Maria Cantwell.